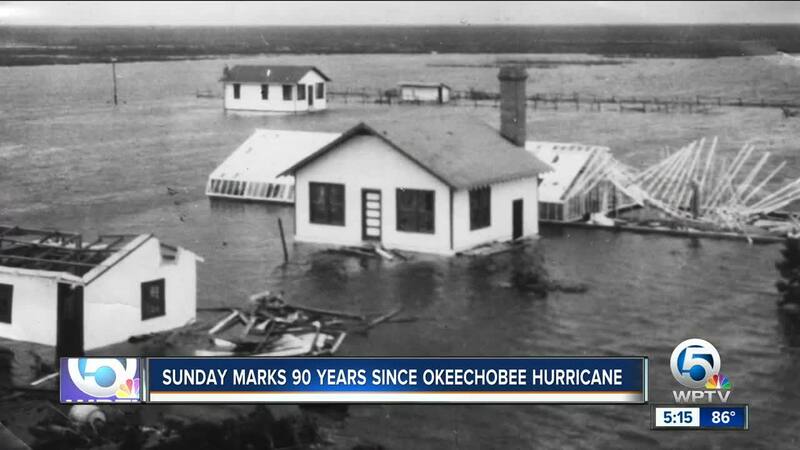 Sunday marks 90 years since a storm slammed into the Glades and Lake Okeechobee overflowed. 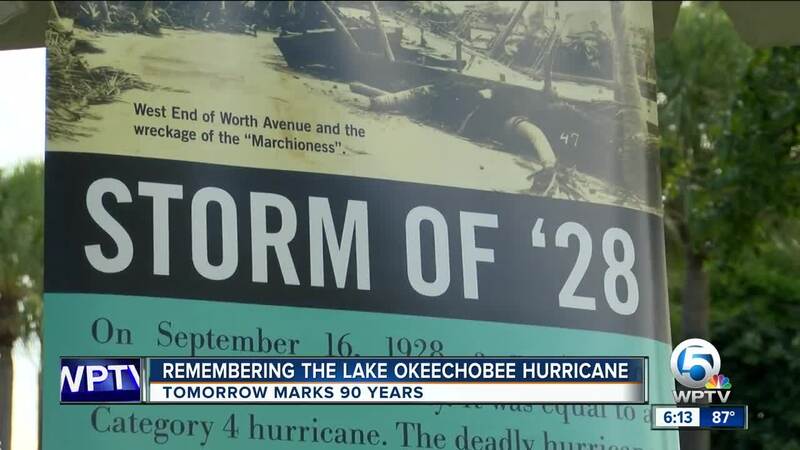 Sunday marks 90 years since a storm slammed into the Glades and Lake Okeechobee overflowed, killing thousands of people. Residents of the Glades can't forget the storm and the awareness the Okeechobee Hurricane should bring even today. Milton Carpenter's mother, Ruth, was pregnant with him when the storm hit in 1928. Carpenter was born shortly after the storm hit the area. Ruth wrote an article about the hurricane after it devastated the region. "Noise became so deafening. Most destructive hurricane in Florida," Milton read his mother's article. He then read this line: "Fear of losing the little one close to my heart. She's talking about myself," said Milton. He says thousands of homes collapsed. His grandfather's home did not. "That house was on a solid foundation," said Milton. He says that's why he's alive today. "Exactly. I have been blessed my whole life." Many in the Glades say this should bring awareness. "Make sure that we don't have this type of devastation again," said Tammy Jackson-Moore with Guardians of the Glades. She says it's important to keep lake levels down and to repair an aging dike surrounding Lake Okeechobee. "High lake levels right now during hurricane season. That is something we're concerned about," said Jackson-Moore. The dike is expected to be repaired by 2022.